Who ever chooses the names for these bad boys clearly has a sense of humour! 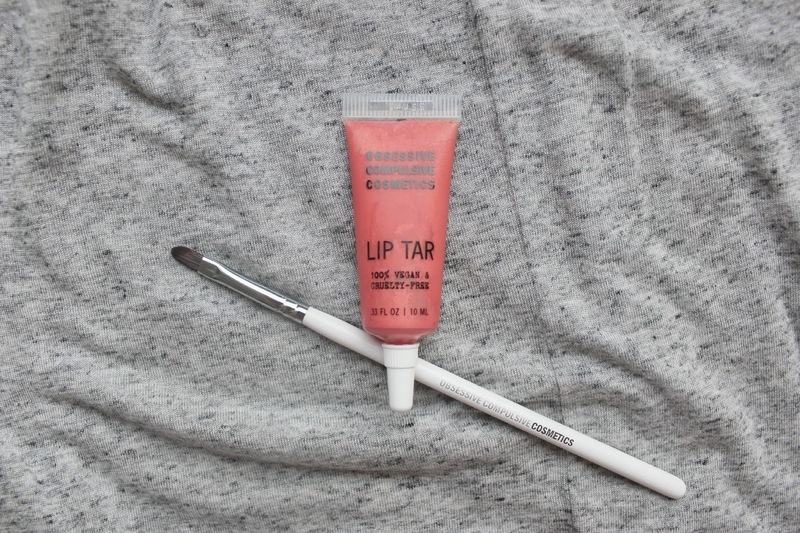 OCC Lip Tar is new to the UK but definitely not new to the beauty blogging world! It’s long lasting lip colour is vibrant and nourishing. This colour is a pink/red that contains flecks of gold which catches the light, it looks amazing for day or night! I do love wearing Lipstick, especially MACs but it never lasts as long as I would like it to. These Lip Tars are exceptionally long lasting, you can drink, kiss and eat and you’ll still have colour on your lips! Amazing! Definitely worth a try, plus a little goes a VERY long way, I mean it. You only need probably 1/4 of a size of a penny to cover your whole lips in vibrant OCC colour. Talk about value for money. They are also cheaper than MAC Lipsticks! Tese Lip Tar’s are definitely a product for all of you who love Lipstick but want it a little more long lasting! *OCC has come under fire since I wrote this post all those years ago with regards to basing its brand name off of OCD which is obviously a very serious and sometimes debilitating disorder. Nevertheless I no longer shop at OCC since liquid lipsticks are much more popular and readily available now than they were when I wrote this. What do you think of OCC Lip Tar? Any fav Lipsticks? I've been seeing those liptars on my tumblr dashboard for a while. And they look so interesting, too bad they aren't available where I live, else I would love to give them a try! I've seen those liptars on quite a few blogs recently, but haven't really heard much of the brand. Beautiful post. I have a friend that have one of those, they look great on the lips, very shiny.